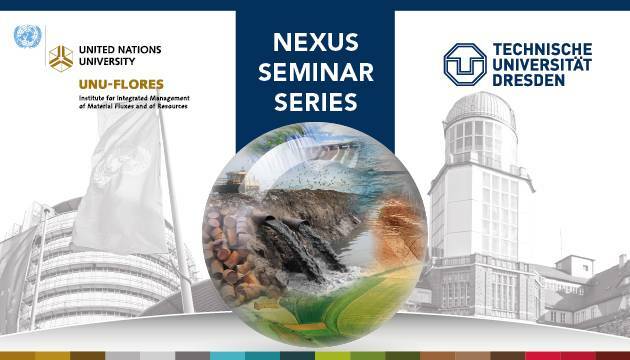 UNU-FLORES in collaboration with PRISMA – Centre for Sustainability Assessment and Policy on behalf of TU Dresden are excited to announce the Nexus Seminar Series. The joint seminar series, which launched in 2015, features lectures by senior scholars that highlight all dimensions of research on the Nexus Approach, ranging from hands-on implementation strategies to theoretical debates. The Nexus Seminars serve not only as a platform for scientific exchange and cooperation between UNU-FLORES and TU Dresden but also a medium for the partner institutions to discuss their research with a broader audience. Back to Nature: How Sustainable is Construction with Wood? Does it Pay to Account for Natural Resources?